Great businesses are made up of great people and by great people I mean ‘high achievers’, the crème de la crème of an organization. 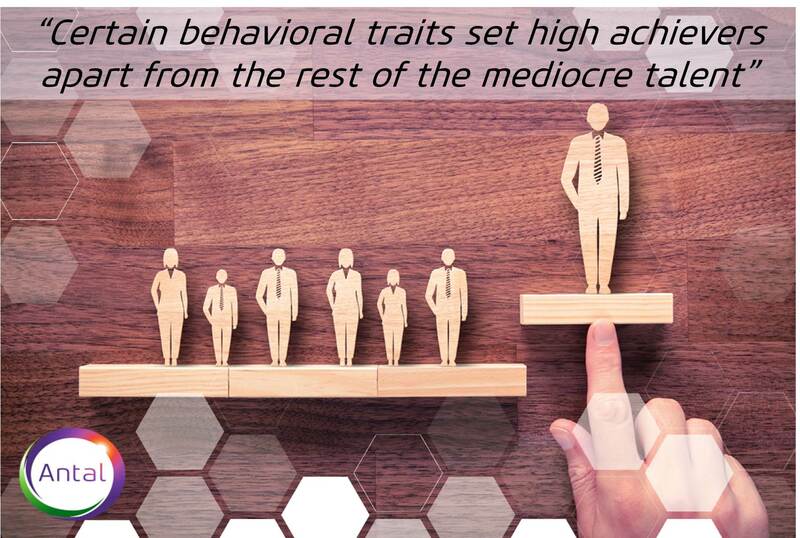 You can’t hire mediocre talent and expect them to meet the expectations of high performers. Achieving greatness and making it to the top requires hard work, passion, persistence, determination and discipline; not all possess these qualities. The ICSE results this week, clearly exhibit why some of them are cut-out to be high performers – there are kids who lost homes, lost their mom, no vision in one eye – and yet, they score above 90% marks in their board exams. They are focused and have an urge to win/succeed: The success story of any successful business owner starts with a desire to succeed. The enthusiasm to perform at a high-level comes from a desire to advance their career trajectory as well as the company’s trajectory. This desire teaches high achievers to align their mind and body towards their goals. It enpowers high achievers to stay focused as well as face challenges. They are self-disciplined: High achievers know their priorities; they understand the importance of self-discipline and don’t look at it as an inconvenient burden that has to be endured. They realize and understand their obligation towards the business and therefore they are disciplined in their pursuit of their goals as well as the goals of the business. They are willing to put the extra effort – go the extra mile: High performers don’t restrict themselves or their work to their job profiles; they are always willing to put in the extra effort. It doesn’t matter if the job is related to their desk, if it benefits the business – whatever they’re tasked with, high performers make sure they deliver. They are aware of the fact that success never comes like a flash of luck, it comes after countless hours of hardwork. 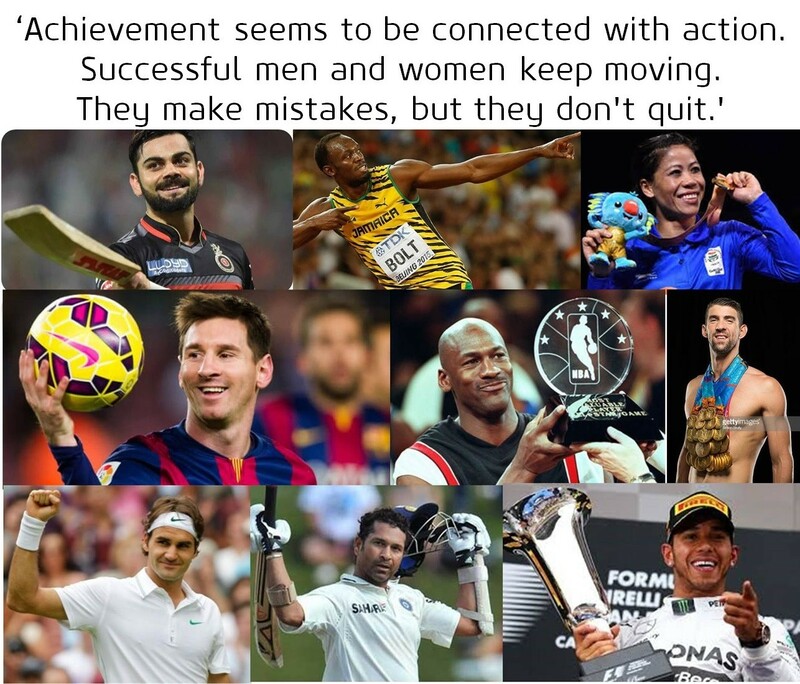 Adversity / setbacks do not faze them: Irrespective of what transpires in their personal lives – be it major adversity, personal setbacks, high performers have the drive to carry on with a dogged determination to cross the finishing line. They are always willing to learn & always look forward to feedback and then work on improving their skills: High performance isn’t an end state, but a lifelong pursuit. 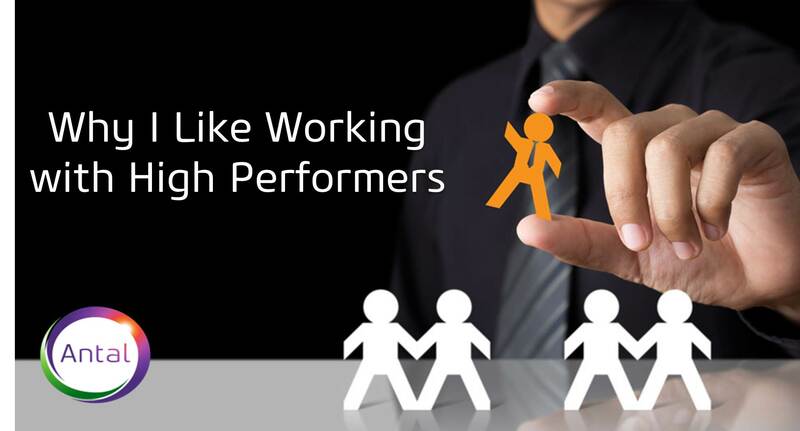 High performers are looking to work on and improve their skills every day. They are willing to take feedback. They accept their failures and shortcoming and are willing to work on them. They are always on the lookout for challenges and create opportunities: High performers are born doers, and problem-solvers. If something important needs to be done, they’ll figure out how to do it, no questions asked. While most will be researching, planning and finding out the right opportunities to work on, high achievers will go all out and create opportunities. They believe that to achieve success you can’t wait to bump into the right opportunity at the right time and place, you just have to create it for yourself. Maintain a work life balance: High performers know that they have to maintain a balance between their worklife and personal life. As much as we’d like to believe that our capacity to squeeze everything we want out of work and life is limitless, high achievers are aware that this is not the case. They plan themselves well and know how to plan their priorities. They draw a fine line between work life and their personal life and would never let one affect the other. Their far sightedness helps them plan better and this helps them keep distractions away and work with more focus and dedication. As American author and lecturer of company sustainability and growth; Jim Collins says; “Great vision without great people is irrelevant”; as a business owner I too have a vision and a goal for my business and it’s obvious that apart from me it’s also my colleagues who help me achieve this goal. I invest in top talent – high performing employees because I believe that the success of my organization depends on how well my team performs. You are unhappy with your job and start looking for other opportunities in the market. Eventually, you get the job and happily put in your papers. However, your boss begs you to stay and gives you a counteroffer. Then what will you do? When it comes to resigning, counteroffers are common and accepting them is definitely not a good idea. They can do more harm than good even if you get a higher salary and more responsibilities that can further your career. Most people have strong reasons for leaving jobs. Getting a counteroffer is not necessarily solving the underlying job dissatisfaction issues because they are in all likelihood not going to get addressed that quickly. When you are being given a counteroffer, is the company really acknowledging your contributions and if so why didn’t they do it before? If it takes your resignation for the company to notice your value, then you are better off being with an organisation that is more proactive in fulfilling your career ambitions. Employers often use the loyalty card to make you stay. But, do they have a good track record in being loyal to their employees? According a survey by Antal International, 73% were still performing the same role despite a promise to change their job profile and 58% who were promised a compensation hike as part of the counteroffer never got any increase. In our experience, most people who do accept counteroffers often leave the company in the next few months. The person would have already being marked as disloyal and is no longer seen as a team player. Winning back trust will be an uphill task. Plus, you may find it difficult to get along with your co-workers also as they might feel cheated in the entire process. While you might feel like you are in a strong position now because your boss has given you a counteroffer, think again. Are they giving you a salary hike or promotion in advance? In that case, you will be most likely overlooked during the next appraisal cycle. In most cases, the employer will talk about salary parity and offer you a very low pay-rise to keep you happy. Remember, your market value is worth much more; that’s why you got a job offer in the first place. Being asked to stay can be flattering, but it can also deceive even the best of talent. Journeying from Fitness to Entrepreneurial Success. He has more than 17 years of rich experience in automotive sector. He worked in well known auto Multinationals (fortune 500 cos.) and Indian auto giant in the areas such as Operations, Manufacturing, Logistics, Quality, Process planning, New launches, Developing manufacturing systems , Greenfield & Global launches and has substantial international exposure working on global car launches. How did your journey as an avid marathoner begin: It started few years back when there was a mini marathon of 3 kms for parents in my daughter’s school. I was practicing jogging then but it used to be just a casual workout. I decided to participate in this run and I finished it at 4th position amongst 30 odd parents who participated then. I found the experience quite joyful and motivating. I decided to take running seriously and started practicing on a regular basis. Within one year of practice I participated in Pune International Marathon for 10 kms distance and completed the run successfully in a decent time. There after I participated in various short marathons focusing on improving my performance (pace). How has it impacted your life today – Indeed, I think I am more fit person today. From last 3 years there has been no minor and major illness touching my life. I have lots of energy to handle daily challenges. I truly feel I am going in the reverse of my age. How has this affected your business: I would say the biggest benefit of running has been shown in the business. Long distance running (LDR) is extremely challenging both physically and mentally. By practicing LDR you are training yourself to handle any kind of extreme challenge and precisely that is helping in our business as well. While you are practicing LDR your focus is squarely on running and you break the mammoth task of running 10kms/21kms/42kms into small goals of lets say half a km or a km. Similarly in our business if you focus on each and every call,activity, interactions, negotiations, meetings etc, at the end you will achieve the big targets you have kept in your mind. I can draw one more parallel; when you participate in Long Distance Marathon, you focus on your own result, you are least bothered about who is running ahead of you, behind you or with you. As you run more and more Marathons, you start focusing on improving your own performance. Similarly in Business, you compete with yourself and you should always try to be better than your formal self and not compete with others who may be there in business for years who are legends or there are some who are just novice. What does running mean to you today : Running has become a way my of life. It brings enormous joy to me. It helps me handle my stress and frustrations in much better ways. Inspite of a busy schedule is it possible to prioritize and take time out for a sport or a hobby: Running, any kind of exercise or sports are very important part of our life and one should not excuse them for lack of time. Infact make these activities an overriding priority and you will have far better quality of life. Taking up a sport or music or any other hobby; Does it bring a change in your working style: Certainly. you become much more confident in handling any challenging situations, you are more focused and balanced. What’s your advice to entrepreneurs or business leaders who think they are too busy to take up something they are passionate about apart from their profession : I would certainly advise them to take running, weight lifting or any kind of physically & mentally challenging sports as your hobby. You can certainly travel from fitness to success. According to one of LinkedIn’s recent reports 94% recruiters use LinkedIn to search for candidates. If this number excites you because you think your incomplete, dormant LinkedIn profile will attract recruiters .. Well the answer is NO; it surely won’t. Unless you maximize your LinkedIn presence and your profile appears in all top searches for your sector or discipline there is no chance recruiters may find you on LinkedIn. 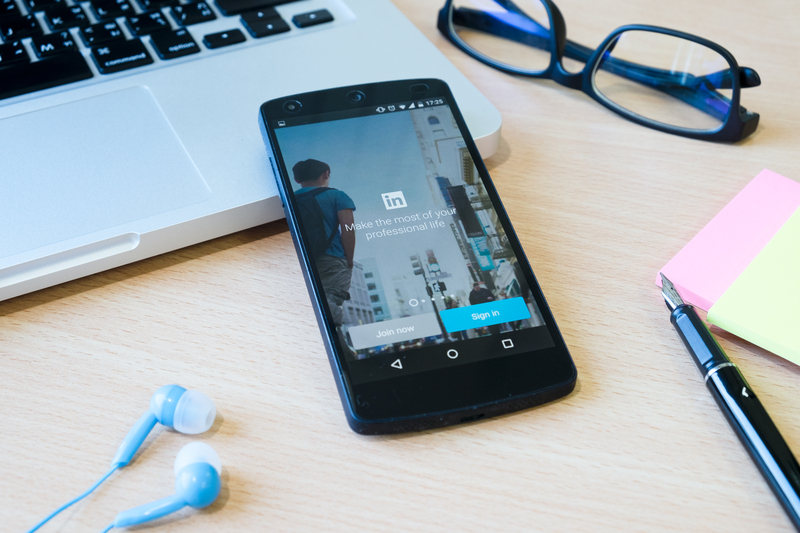 Here’s how you can maximize and make most of your LinkedIN profile so that you could network with the best recruiters and professionals within your niche Having an All-Star Profile: Professionals who have an All-Star rating are 40 times more likely to receive opportunities through LinkedIn. An All-Star profile contains every single detail – professional profile picture, summary, Headline, current position and the past positions along with job & responsibilities, Education, Skills, Awards, recognitions, certifications, interest, and a great network of connections. Have a voice: Join industry/discipline groups that are active. LinkedIn allows you to join 50 groups, select groups that are active, genuine and relevant to your industry/interests. Actively participate in discussions, initiate discussion, ask questions, reply to questions your asked, share opinions and views, this will help you establish your credentials and expertise. Joining groups will also increase your chances of growing you network and connecting with the influential people like HR Heads, Line Managers and Niche Recruiters. Participate in or initiate atleast 2 discussions every week. Become a Thought Leader: LinkedIn gives you a great opportunity to compile and post articles. This is an excellent tool for professionals who would like to share their thoughts, expertise Pick subjects of interest that will attract and engage readers. Industry related news articles from newspapers, magazines, or journals and sharing them with an accompanying note with your view on the subject is always and excellent and effective networking tool. Engage with your network: Like and share your networks updates. This will increase your visibility and you can then reach out to your contact’s secondary network. Build Your Connections: Build your network regularly, add people from your industry, people you meet at industry events or meetings, colleagues from previous organizations, batch mates as well as Niche Recruiters. If you are sending a request to someone you haven’t met before, drop a note introducing yourself and why you want to add this person to your network. 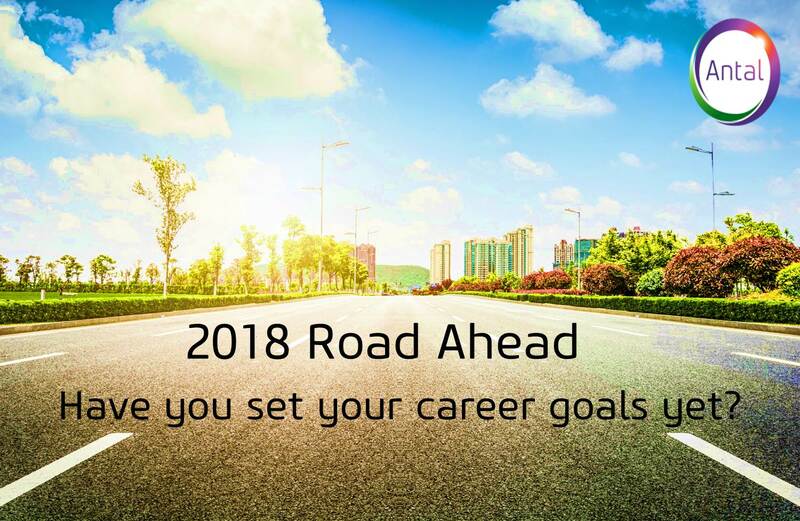 Have you set your career goals for 2018yet? It’s that time of the year wherein amidst all the festivity and celebrations, you also start setting goals for the New Year – personally & professionally. For your personal goals you have your family and near & dear ones to speak to, discuss, share and accordingly set your goals. However, who can advise you best on your professional goals or help you answer the ‘What Next?’ question? Here’s your answer; Speak to a Niche Specialist Recruiter. Pick your phone and talk to a niche specialist recruiter and tell him/her about your ambitions & career plans. Speak to him/her about all that you have done and how you would like to progress in your professional career, ask them for advice and suggestions on what could be the nest best step for your career. Niche specialist recruiters are career counselors. Their understanding of the discipline or sector they recruit within is ‘inch wide and mile deep’. They know the current hiring trends, skills that are in demand, companies that are hiring, roles that will compliment your career goals. Recruiters who focus and hire within specific domain understand that domain completely, they monitor the industry closely, they regularly speak to people within that niche and hence are aware of career moves, vacancies that are created etc. and therefore they are the best people who will guide and advice you on your next career move. A niche specialist recruiter would also tell you which company is best suited for your value systems and work style. If you don’t have a recruiter within your professional network yet, the 1st step for your Career Plan for 2018 must be connecting and building a relationship with a Niche Specialist Recruiter, right away!!! Every step you take to rise up on the career ladder should be carefully planned, thought through and professionally managed by an Niche Specialist Recruiter this will enable to you take advantage of the best career opportunities that will come your way in 2018. As specialists in mid managerial Rising Star talent market, we prepare lots of candidates to interview better. Here we share with you 5 tips that will help you score better in interviews. Interviews are no longer about power equations but about empowerment. Today’s discerning candidate needs to have enough information to decide if the professional association can develop into a long term basis. Research is a good starting point to collect this information. Company’s website: Read about the founders, the company’s history, vision & motto, check their global presence. Annual Reports : Gives you insights on the company’s, growth, sustainability, future plans and financial standing of the company. Company newsletters: Gives you insights of the company’s culture and various other aspects that you may not have direct access to before you join the company. Social Media platforms: Insights on what employees (current & ex), consumers etc are saying about the company. Role: Expectations Support available, Projects, challenges and issues that needs to be resolved, expected progression in the role. Developmental support like their training & development initiatives etc. The first impressions make a lasting impression, and this can be said of how you appear at the interview. When in doubt, stick to conservative dressing. Choose your ensemble with care to boost your confidence a notch up. Decide on the “look” at least a day prior- make sure the dress/accessory are in prime condition. Take special care of your personal grooming. You definitely don’t want to be late for an interview, being late would mean one negative marking before the interview could even begin. A day before the interview, get the exact location of the interview venue, confirm the interview timing, plan the logistics- how long it takes to get there, what is the traffic scenario on the route to the venue. Speak to someone who travels or is familiar with that route, take their opinion in your commute plan. Make an early start, have breakfast. It is advisable to book a cab, so that you are not worried about the parking issues near the venue and have the commute time to go over your preparation. It always good to arrive 15 – 20 minutes earlier. You get some time to settle in, refresh after a long journey, calm down and get over the pre interview anxiety. Use the time to use the restroom, make sure that you are looking your best, tuck in any fly-away hair, refresh yourself. Switch off or put your phone on the silent mode before you enter the interviewer’s cabin. And just before you step into the interviewer’s cabin…. Take a deep breath, relax and smile. This will help put you in the right state of mind going in to the interview. Whether a you are actively looking for a job or a recruiter has approached you with a suitable career opportunity, it’s important how you present yourself to the recruiter. A number of minor issues like grammatical errors, constant follow ups etc or major issues like not showing up at the interview, lying about something etc that could tick off recruiters and could land you on the recruiter’s blacklist. Unfortunately recruiters are not given their due credit, they are considered mere ‘cv match makers’ or ‘interview coordinators’. However in reality, recruiters play a crucial role in the professional life of individuals. Recruiters today act as the eyes & ears of an individual who wants to keep a tract of his industry – regularly updating them on various hiring and salary trends, talent movements and most importantly they are the ones who may offer you your next big career move. Not answering phone calls: “There are times that after being presented with a job opportunity and explaining the process and every microscopic detail related to the job opportunity the candidate agrees to explore it and share his cv, but after a while the candidate refuses to answer phone calls”, says Hansika Salian, Senior Consultant Antal Mumbai who recruits within FMCG/CD space. She continues, “if a candidate shows interest in a career opportunity and has committed to sending in his cv, he should do so immediately. If the opportunity offered does not match the candidate’s career aspirations, he is free to decline it on the first call itself. We respect candidates who are honest about their career aspirations, infact we prefer working with such candidates because it only helps us find them career opportunities as per their expectations”, she says.